This title explores the key concepts that have shaped human society in a simple, clear and engaging way. A chapter on myths from around the world covers Creation stories, epic journeys by ancient heroes, and battles of the gods. "Many Gods" explores sacred texts from India, Hindu gods and goddesses, Buddhism, Japan, and Shinto. "All-Powerful Gods" covers the birth of Judaism, life as a Jew, Christ and Christianity, life as a Christian, Muhammad and Islam, and life as a Muslim. 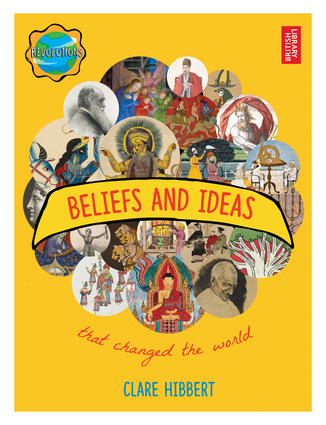 Lastly, "Philosophy and Ideas" goes over ancient Greece and the birth of philosophy, the Age of Reason, Darwin's theory of evolution, concepts of an equal world for all (communism, feminism, civil rights), and Earth's place in the universe. Clare Hibbert is an author and editor of more than 200 children's books.